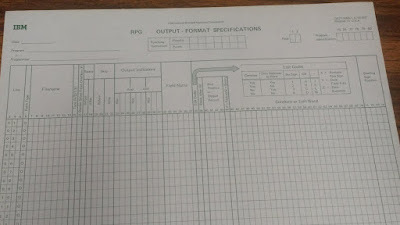 When I posted pictures of the IBM print charts I had found, Kevin Adler sent me pictures of some of the RPG history he has, RPG coding sheets. Looking closely at them I think they may have been sheets used in the days of punch cards. When I asked Kevin how he came to possess them he replied: "I got them from a former team leader before he retired." 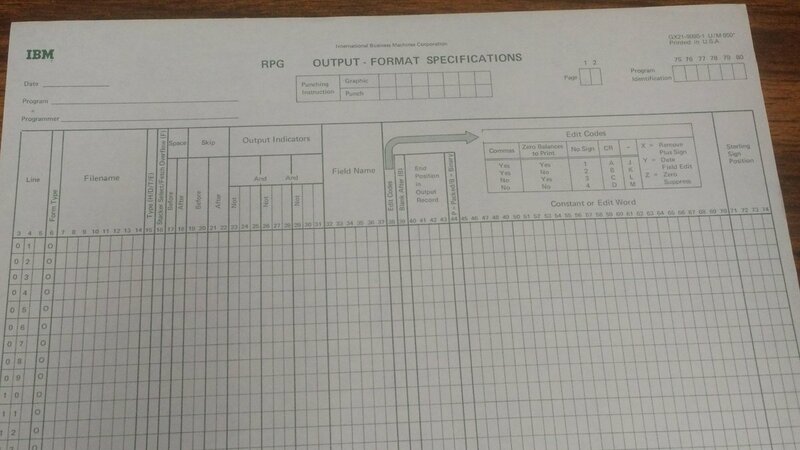 If you have any RPG or IBM midrange memorabilia you would like to share send me a message via the Contact Form, on the right. I remember these sheets. 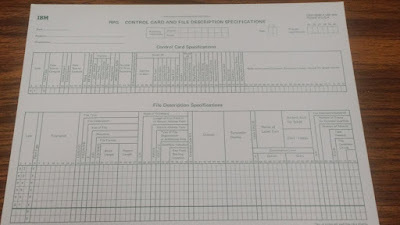 Yes there were used to originally to be entered on punch cards (80-column) Originally learned on System 3, then used a System 34, then System 38, then AS/400. what no Calc sheets? Or Output layout sheets? 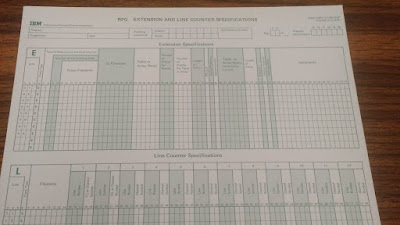 I still have some in the office. Just couldn't toss them. 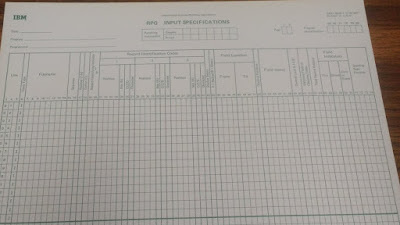 The RPG-rule had all the coding sheets plus the EBCDIC hex symbols. 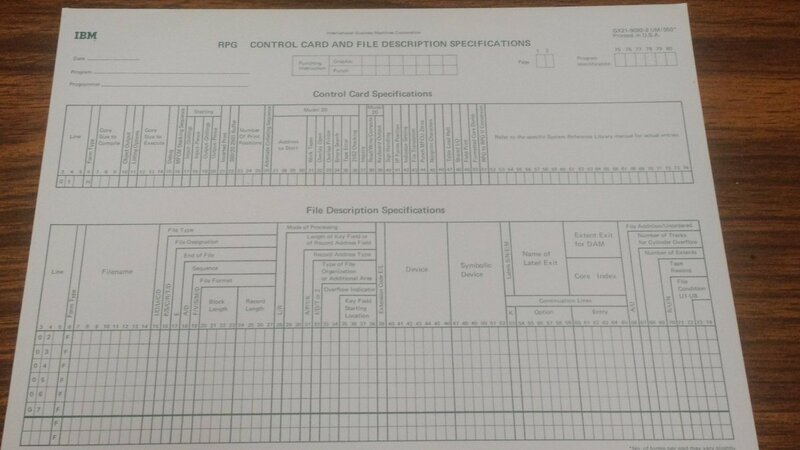 It even let you measure card volume up to approximately 2,000 cards. 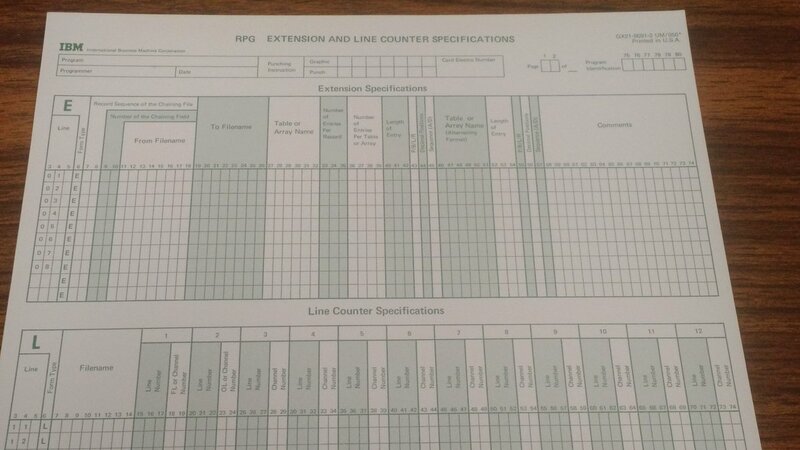 In addition, it had line spacing for 6 LPI and print positions at 10 CPI up to a max of 150 characters. I even had my name engraved on it. Far outlasted the S/3 Model 10 I was working on at the time.